THE HSE HAS said it is still experiencing delays with the supply of the BCG vaccine one year after stocks ran out. Issues with the vaccine supplier have been ongoing for a number of years but they are not limited to Ireland – the problem is affecting most European countries. This is because there is only one licensed manufacturer of the vaccine supplying to countries within the European Union. “The HSE has no control over when BCG vaccine will be delivered by the vaccine manufacturer. Since this problem became apparent, the HSE National Immunisation Office has been in regular contact with the manufacturer of BCG and with the Health Products Regulatory Authority (HPRA) who licenses vaccines in Ireland as well as with other relevant stakeholders,” the HSE said in a statement. It also said the HPRA has been seeking to find an alternative supply of BCG that meets safety, quality and effectiveness standards and that could be used in Ireland. To date no alternative supply of BCG has been found. In a statement, the HSE said most European countries do not give BCG to all babies and there were no cases of TB in young children in 2014. “Babies are not at risk of TB because of the delay in getting BCG vaccine,” it added. “The other routine childhood vaccines should be given as normal at 2, 4, 6, 12 and 13 months (ie they should not be delayed)”. 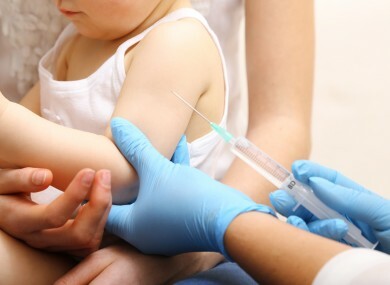 In September this year, the Health Information and Quality Authority (Hiqa) asked for the public’s opinions on the proposal that would see the BCG vaccine only given to children in high risk groups. The incidence of TB in Ireland has been in continual decline over the past 25 years and is now so low that Ireland meets the World Health Organisation’s criteria for stopping the vaccination of every child. Email “One year after stocks ran out, Ireland's BCG vaccine delivery is still delayed”. Feedback on “One year after stocks ran out, Ireland's BCG vaccine delivery is still delayed”.